Here’s a quick update on the GE/GIS conversion front. While there is still work to be done, significant progress has been made on the ArcGIS to Google Earth converter which is now known as Arc2Earth. While there are several other KML converters out there, Arc2Earth is different in it’s scope of conversion. Instead of just raw data, A2E leverages the fact that the ArcGIS platform is a great authoring environment for traditional maps. 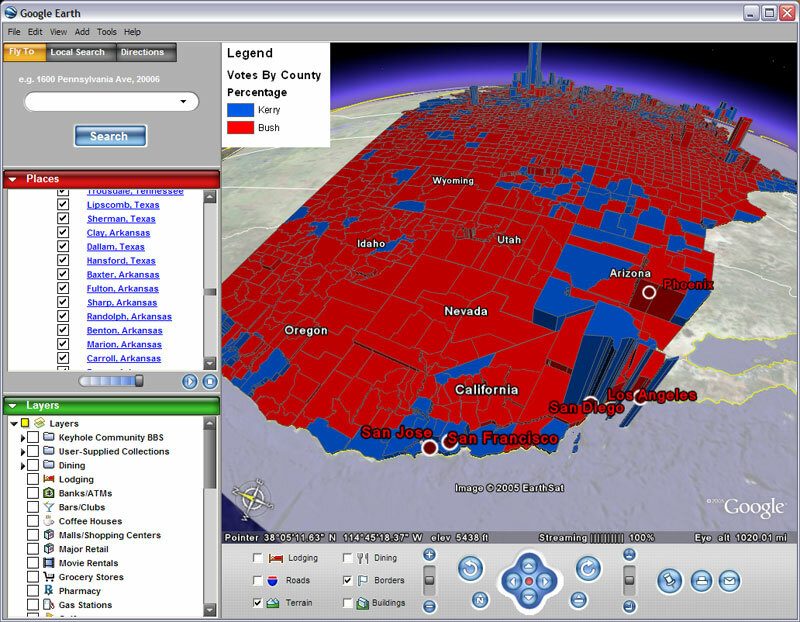 In addition to data, it also includes cartography, renderers, labeling, feature identify functionality, ad-hoc graphics, as well as other MXD specific features that help enrich the user experience exported to the KMZ file. Brian has a detailed post on Arc2Earth which should make converting maps made in ArcMap to Google Earth much easier. I’m very impressed with the user interface Brian has and it should allow just about anyone to share their maps via Google Earth. I can see this totally blowing up since there is no good tool from ESRI to share ArcMap documents. Google Earth will become the default free viewer for GIS and Arc2Earth could become the tool to make that happen. Great work Brian!